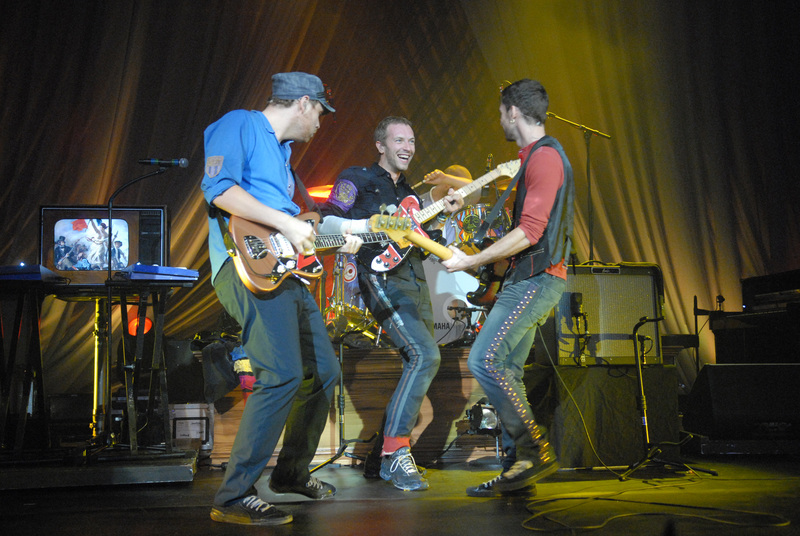 The four members of Coldplay became friends while living in the same dorm at the University College of London during the mid-1990s. Together, they formed a band, which they named Starfish but later changed to Coldplay. They spent all their free time writing music and rehearsing. In April 1998, Coldplay decided to record a demo CD in hope of being offered a record label. Their recording session went so well that they decided to release the three songs as an EP they called Safety. After making a total of five hundred copies, they handed them out to a variety of media outlets like radio stations, newspapers, music-based magazines, and personal family and friends. They also began performing in front of live audiences, where they received their big break. In the audience at one of their shows at a London club was Simon Williams who was a music journalism and founder of record label Fierce Panda. After great first impressions, Williams signed them to his label. 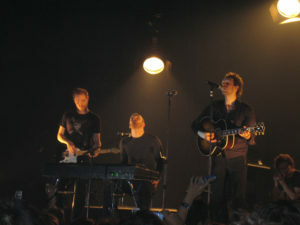 After being signed, Coldplay recorded the EP Brothers and Sisters during February 1999. After Brothers and Sisters was released, the world began paying more attention to Coldplay as a band. They earned music reviewers and radio hosts’ attention in England, garnering labels like New Musical Express’ “new band to watch.” In addition, BBC Radio aired Coldplay’s music, which caused the song “Brothers and Sisters’ to reach ninety-two on Britain’s pop music charts. The EP made an impression on Parlophone Record’s Dan Keeling, leading him to sign them to the label in 1999. There, they recorded The Blue Room, released in fall 1999. 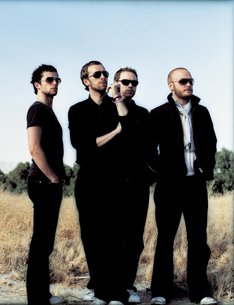 Continuing to gain more and more followers, Coldplay began rising to success, recording their first full-length CD titled Parachutes. March 2000, they released “Shiver,” from their album Parachutes, which reached thirty-five on England’s music charts. 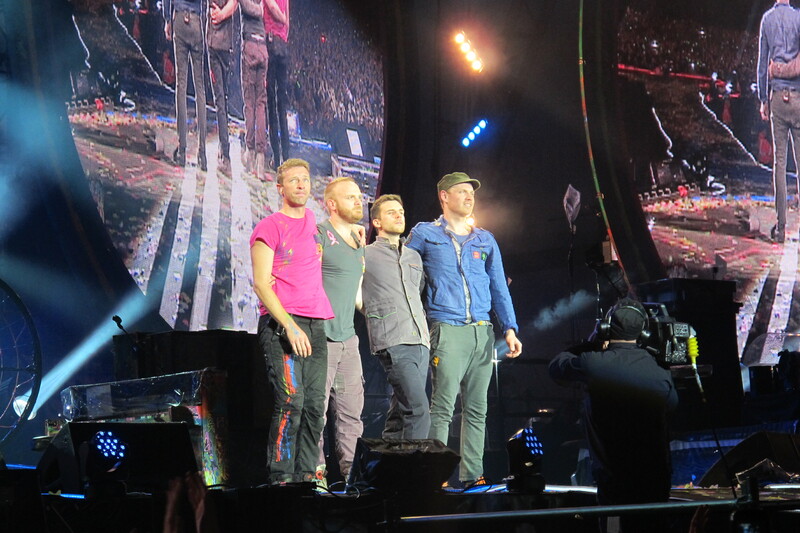 The second single “Yellow” cemented Coldplay’s success. Released in June 2000, it was a hit in England and the United States as a video on MTV and gained international success. The band feared that their success would be short lived and fans would eventually become sick of their music, but their fears were extinguished when they received loads of positive feedback. Parachutes was nominated for the prestigious Mercury Music Prize in 2000. The next year, the album earned two BRIT Awards for best British group and best British album. Parachutes then won the Grammy Award for best alternative music album. 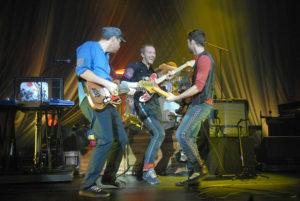 After the album’s release, Coldplay began their tour in the United Kingdom, Europe, and the United States. 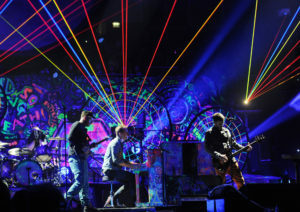 After the long months of going on tour, Coldplay worked on their second album, but felt that they had lost inspiration. Even though the album was ready for release, they did not feel content with putting an album out that they were dissatisfied with. Instead, they returned to their studio in Liverpool where their first album was recorded and tried again. After that, songs such as “The Whisper,” “The Scientist,” and “Daylight” were produced. A Rush of Blood to the Head was released summer 2002, receiving positive reviews. Quickly following, they gained many awards such as three MTV Video Music Awards in 2003, a Grammy for their song “Clocks,” and the BRIT Awards for best British group and best British album. Keeping a relatively low profile, Coldplay was able to go about their daily lives. This was compromised, however, when Chris Martin began dating American actress Gwyneth Paltrow in 2002. The next year, the couple announced her pregnancy and their marriage. Apple Blythe Alison Martin was born May 2004. They went on to produce Live 2003 which was a package including a CD and DVD about their concert in Sydney, Australia. 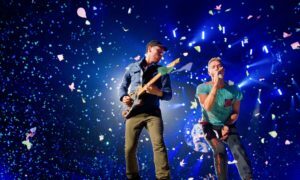 Since then, Coldplay has released numerous albums including X&Y (2004-2006), Viva la Vida or Death and All His Friends (2006-2009), Mylo Xyloto (2009-2012), Ghost Stories (2012-2014), and most recently A Head Full of Dreams (2014). The band has also explicitly voiced their support for activist rights. They have refused multi-million dollar contracts from major companies who wanted to use their songs, saying that if they sold their songs to the companies, it would decrease its meaning. They also support global issues such as world trade and Make Trade Fair. They also support Meat Free Monday among other charitable causes.